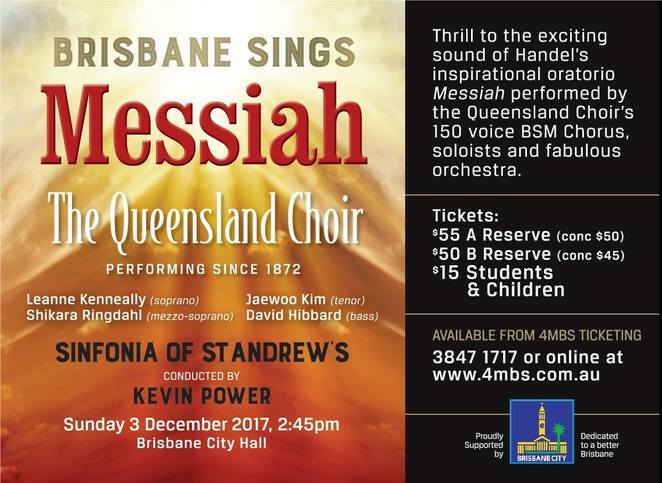 'Brisbane Sings Messiah' is a special biennial classical music event featuring The Queensland Choir performing Handel's great masterpiece 'Messiah' alongside guest soloists and an orchestra in the magnificent Brisbane City Hall. This anticipated family-friendly event will be held on Sunday 3rd December 2017 at 2:45pm and the program includes Handel's inspirational oratorio performed by The Queensland Choir's 150 voice chorus, guest soloists and the fabulous orchestra. The soloists are Leanne Kenneally (soprano), Shikara Ringdahl (mezzo), Jaewoo Kim (tenor) and David Hibbard (bass). The Sinfonia of St Andrew's orchestra will accompany the choir and guest soloists and the performance will be conducted by Kevin Power. The Queensland Choir has been performing since 1872 and is now regarded as one of the premier large choirs in Australia. The choir is made up of 150 volunteer choristers from a wide range of backgrounds. The choir has performed regularly with the Queensland Symphony Orchestra, the Sinfonia of St Andrew's orchestra and other orchestras and instrumental groups and also collaborates with other choirs in concert in and around Brisbane. 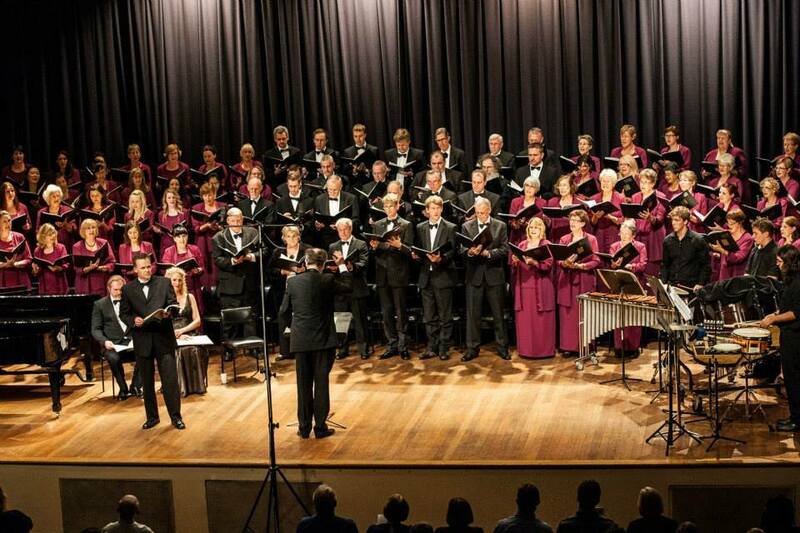 Don't miss the popular biennial 'Brisbane Sings Messiah' concert event this festive season. Reserved tickets are now on sale and are priced from $15 to $50 with concessions available. To make a booking, please contact 3847 1717 during office hours or visit www.4mbs.com.au. For more information on this exciting live music event in Brisbane, please visit qldchoir.com.